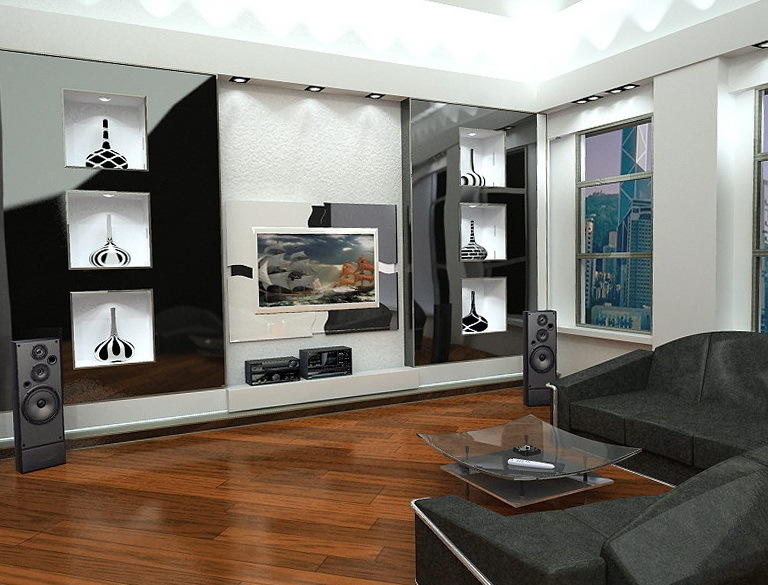 Living room should be the most spacious and comfortable in the house, so you can relax and unwind. The living room should be functionally convenient, it is also an important combination of convenience and beauty of style. 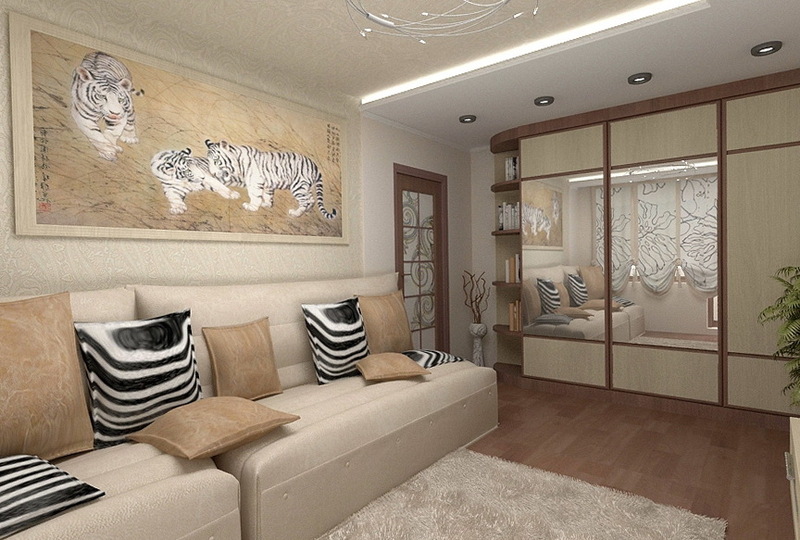 During the arrangement of the living room you need to focus on the style and taste, the furniture should be suitable for a relaxing getaway. 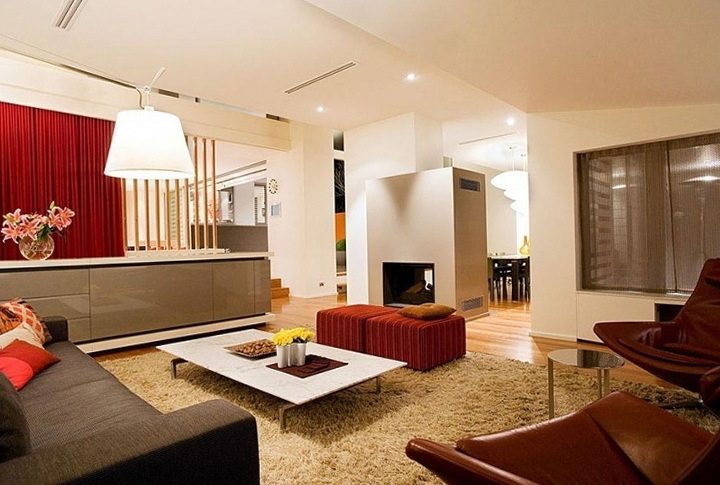 In this room used modern furniture that creates a large space. Use soft materials. Simple and air curtains create an airy. Exquisite taste on display in this interior, which is connected to a dining area, everything looks functional and harmonious. 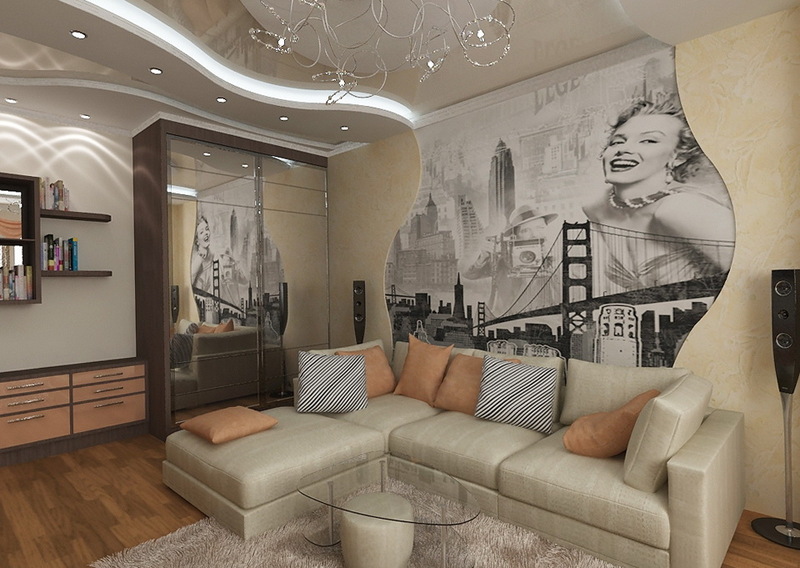 Beautiful living room with interesting wall art, which depicts Marilyn Monroe Pin-up style, bold and effective, simple, and a glass table, a cute fluffy rug adds warmth and comfort. Colorful cushions on the couch to catch the eye and attention, these pillows freshen the interior and make it alive. 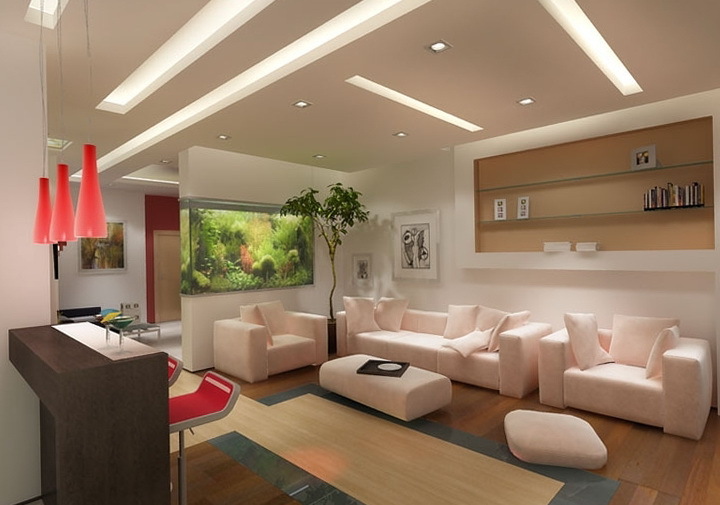 Soothing colors on the walls and furniture creates a comfortable atmosphere. 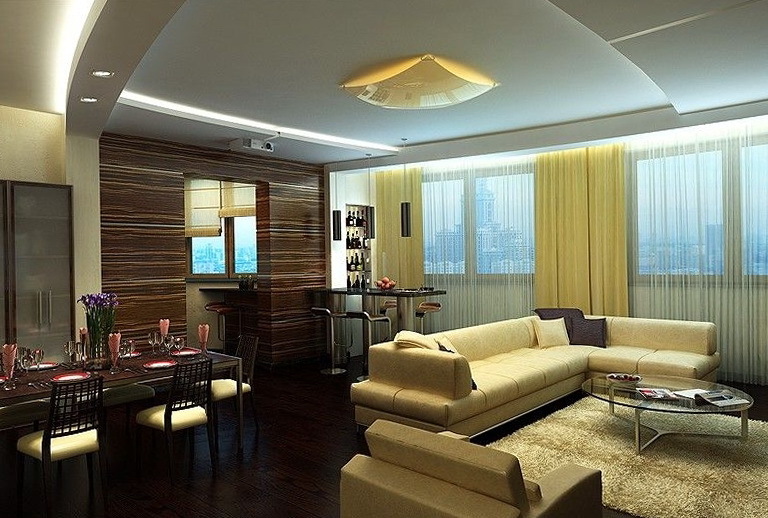 The delicate living room is connected with a dining area, which is made and maintained in the same style living room and dining area. 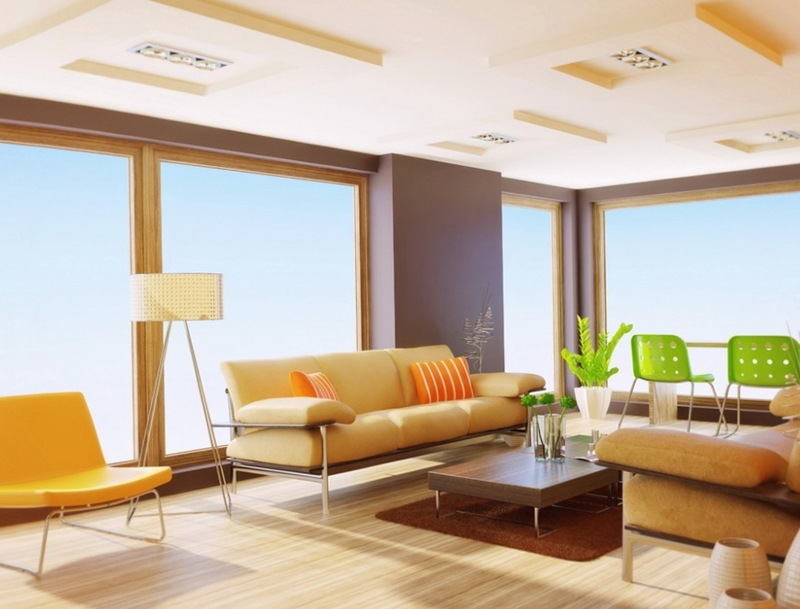 Vivid details in the living room freshen it and make a bright, calm colors of the walls make the room elegant and modern, lots of windows allow sunlight to penetrate color. Making this a living room with beautiful beige tones with red accents and objects, as many brown detailing interiors create a rich and beautiful, makes the room lively and positive. Strict style in the living room is always welcome, concise and follow-up activity view, black furniture give the interior a unique style of living. The original flooring in the living room a good solution to her decorate and liven up, good modern lamps illuminate a room, an aquarium in the room will help to calm down and adds peace of mind and harmony.